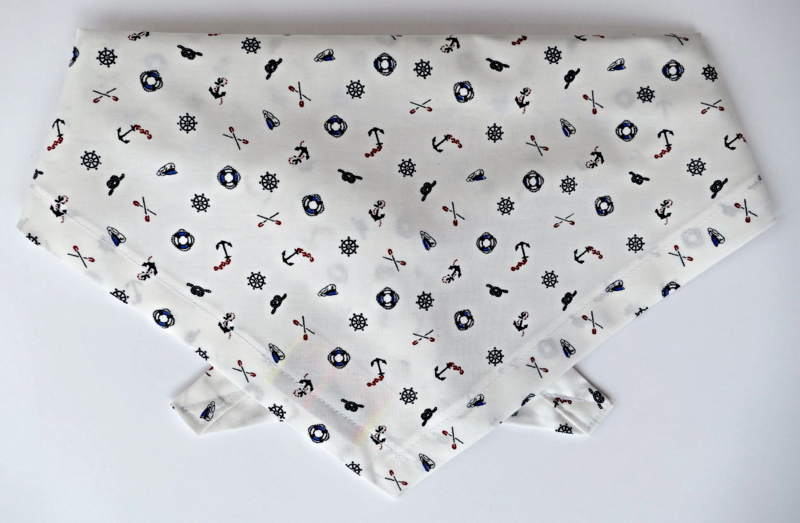 A cute tie on nautical dog bandana in a soft, creamy white, decorated with little navy blue and deep red lifebelts, captain's hats, anchors, and ships wheels. 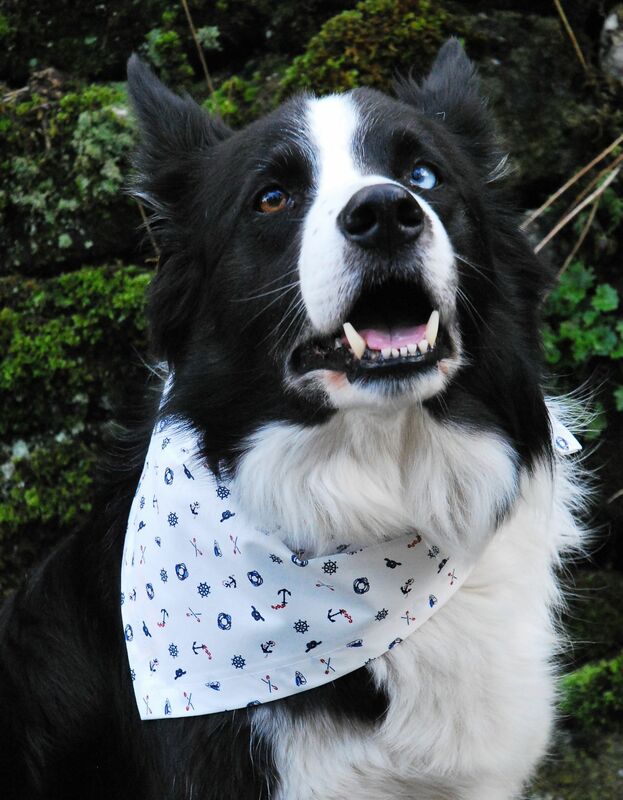 This is a really lovely design, and looks great on any dog! 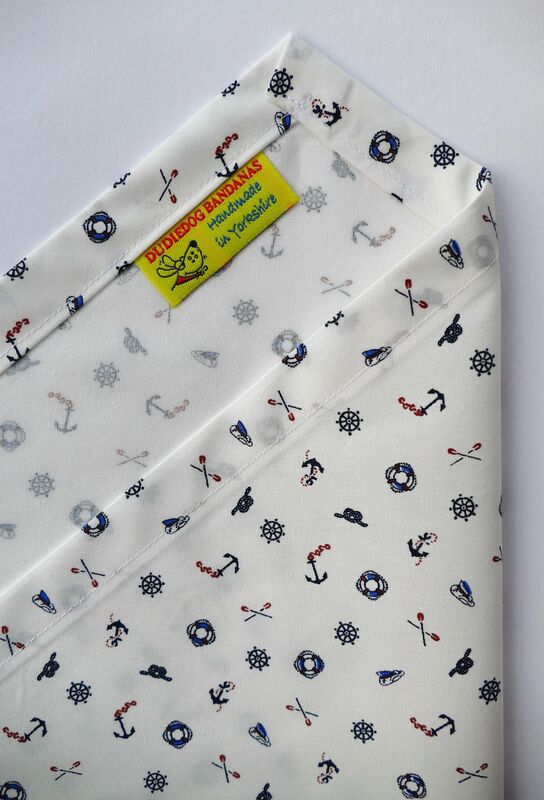 Perfect for the boys and the girls, especially for holidays and trips to the seaside, sailing trips, or any occasion at all!